Question: My college is experimenting with mobile advertising. We would like to know if this medium fosters website engagement and increases our Goal Conversion Rate in Google Analytics. Is it possible to see how much each medium contributes to the Goal Conversion Rate? Moreover, we would like to see the mobile device makeup of Goal Conversions by medium so that we can determine how staff time should be spent on the project. Is it possible to see the contribution to Goal Conversion Rate by device or system? Answer: It is possible to get all of this information in one view within Google Analytics. Use the Pivot Table view and specify the dimensions and metrics you want to show in your Pivot Table. You will see that the Pivot Table in Google Analytics is a lot like the Pivot Table that you use in Excel. However, there is no need to leave Google Analytics for this functionality. Go to the table section and select Medium as your primary dimension. You will then want to select the Pivot Table view option to the far right of the search (filter) box. Now, you can begin to select the Pivot metrics and dimension. 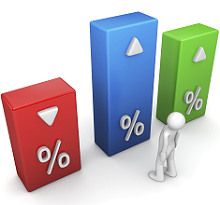 To answer the question above, we will Pivot by Operating System and select the Pivot metric of Goal Conversion Rate. If you want to examine only one specific Goal, you can select that Goal’s Goal Conversion Rate in the drop down menu instead. Wasn’t that easy? Now you have so much information at your finger tips about the channel contributions to Goal Conversion Rate–in total and by specific Operating Systems. You can now determine if you should partner with referral sites to target mobile users, or if it has not had the desired effect. Also, if you have a mobile version of the website with separate mobile SEO targeting, you can start to see the mobile organic search contribution to Goal Conversions. This method can also be applied to any specific Goal that you might want to examine. By exploring the possibilities of Pivot Tables you may find that it provides you with the information you desire. The Pivot Table view is available from many different reports, so experiment to see what value you can extract from your data. Also, be sure to take a look at these other resources on using Pivot Tables in Google Analytics. If you have questions about reports or would like to know more about a specific aspect of Google Analytics, submit your question via the Ask the Higher Ed Analytics Prof form and you may see a blog about it here.